The HSR Staff Alumni Association recognized shortly after its foundation that graduating high school and moving on to post-secondary education was a virtual guarantee that older and more experienced “junior staff” would not be back again. An annual bursary award was launched as a result, which was meant to benefit a member of the current staff who has made terrific contributions to the Camp and might allow him or her to continue them. This year, we awarded the Bursary for the 28th time. The submissions, as always, were top notch and the Selection Committee’s decision was a tough one. 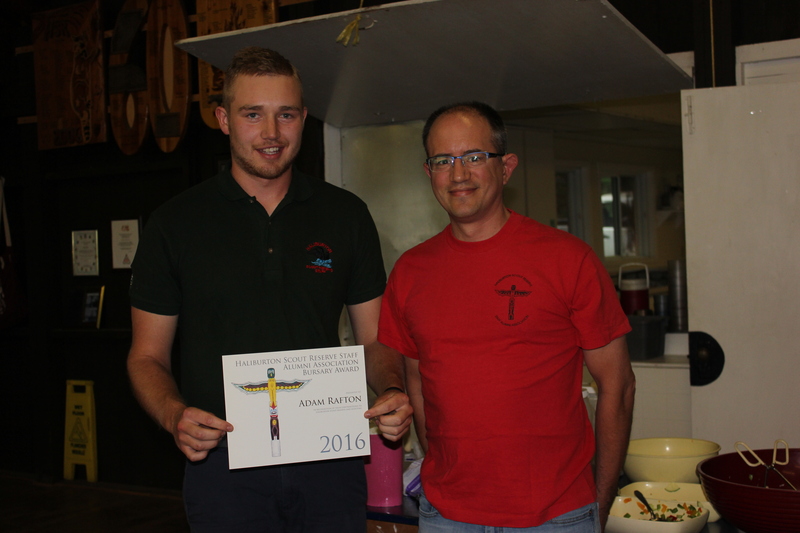 This year’s recipient is Adam Rafton. Adam joined the staff in 2010 as Staff in Training and has moved up the ranks to take on the challenge of Program Supervisor this year. He will be returning to Trent University this fall to continue his Media Studies BA, after which he plans to submit his application to the Ontario Police College to pursue a career in law enforcement. Congratulations Adam and thank you for your ongoing dedication to HSR!